We have a limited quantity of extra Clear A Crystal Quartz spheres in stock. Quartz is known as a healing crystal that intensifies the life force or Chi energy, which clears negativity and past wounds thereby refreshing the mind, emotions, and physical body. 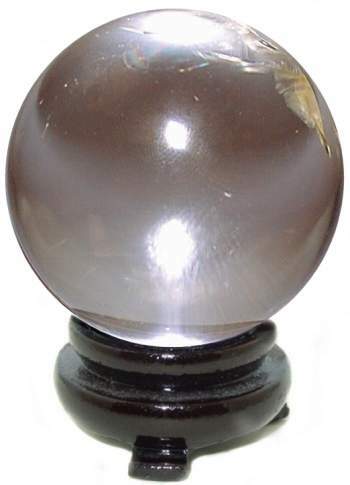 Each beautiful Madagascar quartz sphere comes with a Walnut Finish Wood Ball Stand. Clears past wounds, leaving the bright hope of the moment.